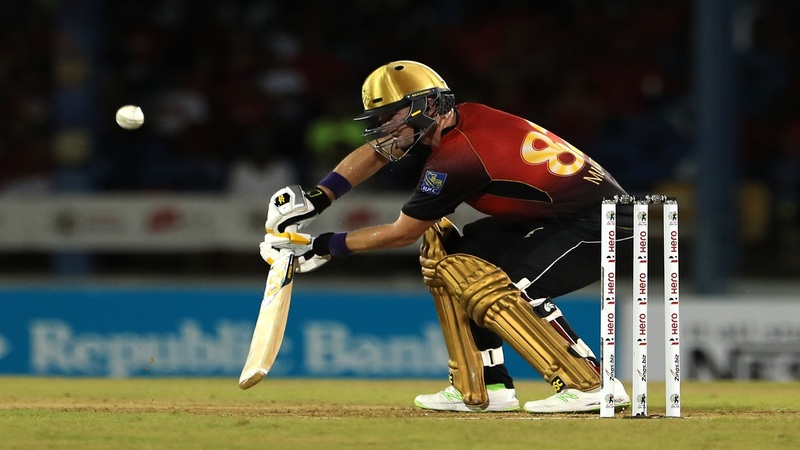 Colin Munro of Trinbago Knight Riders bats during the Hero Caribbean Premier League match against Guyana Amazon Warriors at Queen's Park Oval on September 5, 2018 in Port of Spain, Trinidad And Tobago. (PHOTO: CPL via Getty Images). 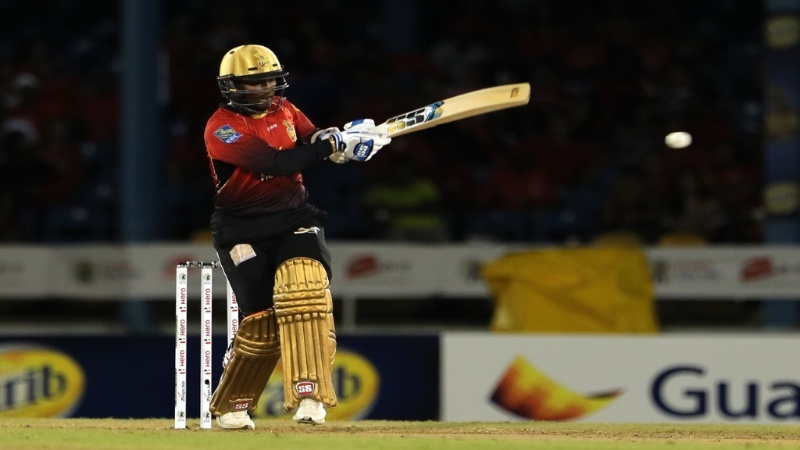 Trinbago Knight Riders recorded an easy 67-run victory over fellow playoff qualifiers Guyana Amazon Warriors in the 27th match of the 2018 Hero Caribbean Premier League (CPL) at Queen’s Park Oval in Trinidad and Tobago on Wednesday night. 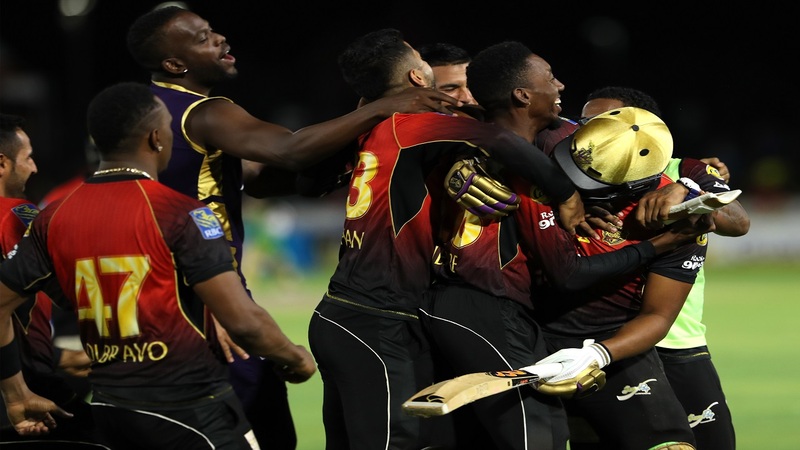 It was an impressive win and takes the Knight Riders back to the top of the Hero CPL table with just three group-stage games remaining – two of them featuring the Knight Riders – and looking good for an all-important top-two finish. Batting first the Knight Riders scored 170 for seven from their allotted 20 overs and then bowled out the Warriors for 103 off 17.4 overs. Denesh Ramdin of Trinbago Knight Riders pulls for four. (PHOTO: CPL via Getty Images). 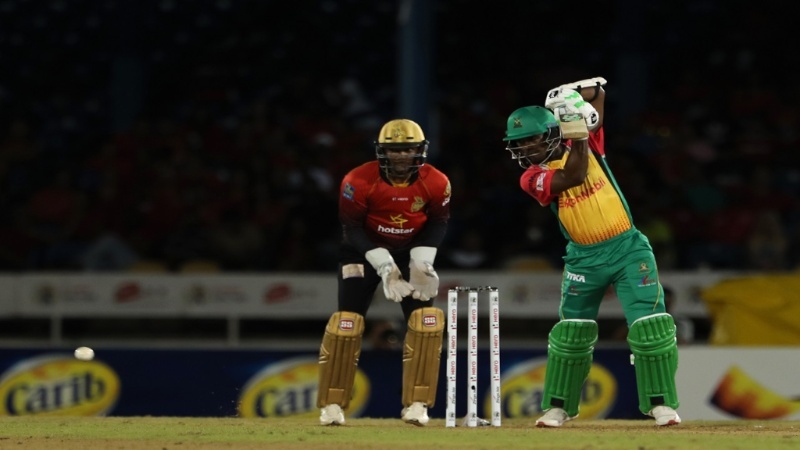 The Warriors’ net run-rate suffered a hit that could prove costly in the final analysis, but with two games left for Rayad Emrit’s side there remains every chance that these two will meet twice in Guyana over the coming days – in the final group game on Sunday and then Playoff 1 on Tuesday with a place in the final at stake. Colin Munro led the batting for the Knight Riders with 90 from 56 balls but the total of 170 for seven represented a slightly disappointing end result from a position of 136 for one, but was more than enough to take down the Warriors, who slumped to 42 for five inside seven overs and never recovered. Ali Khan, one of the real finds of this Hero CPL season, continued his happy knack of taking wickets in the Power Play as he took out two of the Warriors’ dangermen. Luke Ronchi was trapped lbw first ball, before Shimron Hetmyer holed out to Munro on the square-leg fence for just 11. Trinbago Knight Riders celebrate the fall of a wicket. (PHOTO: CPL via Getty Images). In between those two strikes, Khary Pierre bowled Chadwick Walton for four. Sunil Narine then deceived Cameron Delport into chipping back a simple return catch to leave the Warriors four down before the Power Play was done. Pierre soon had his second wicket when Chris Green picked out Brendon McCullum at cover, before skipper Dwayne Bravo got in on the act. He had Sohail Tanvir caught in the deep for a nine-ball duck and then Jason Mohammed, having battled his way to 27, steered a slower ball to point. Roshon Primus launched a couple of defiant big hits in an unbeaten 36, but by now it was damage limitation time for the Warriors. Fawad Ahmed became the fourth bowler of the innings to claim two wickets before Ali Khan returned to finish things off with his third as Imran Tahir poked a slower ball to cover. It all just served to make Munro’s performance all the more striking after he moved to the top of the order from number three and continued to churn out big runs. He became the first man to go past 400 runs this season with a fifth half-century in eight matches, and now leads Kieron Pollard by over 100 runs at the top of the run-scoring chart. With Narine struggling for runs, the Knight Riders shuffled their top three to good effect despite Chris Lynn nicking Sohail Tanvir to Chadwick Walton at slip from the fifth ball of the innings. Denesh Ramdin was promoted to Munro’s old spot at three, and the pair shared a match-defining century stand for the second wicket. Its significance was magnified by what would follow, their 135-run stand followed by a clatter of 16 wickets for just another 136 runs. Munro was very much the dominant partner, unfurling 10 fours and launching four sixes during a high-class 56-ball knock against a quality bowling attack. 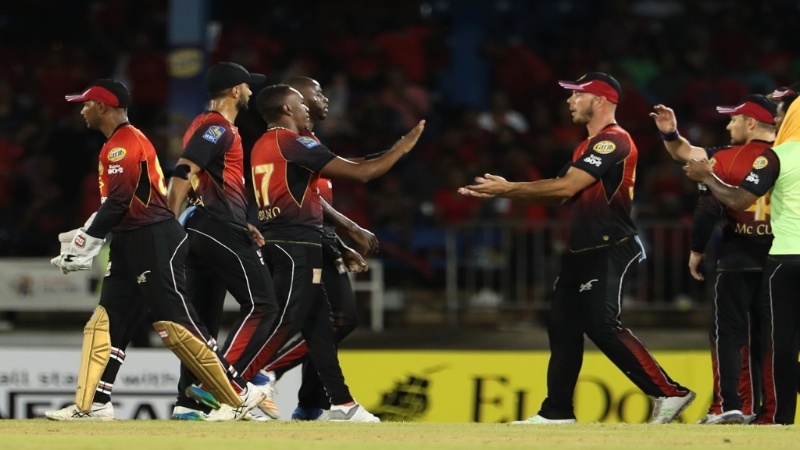 But when Ramdin and Munro fell within four balls of each other in the 16th and 17th overs, the powerful Knight Riders middle-order failed to take full advantage of such a great platform. 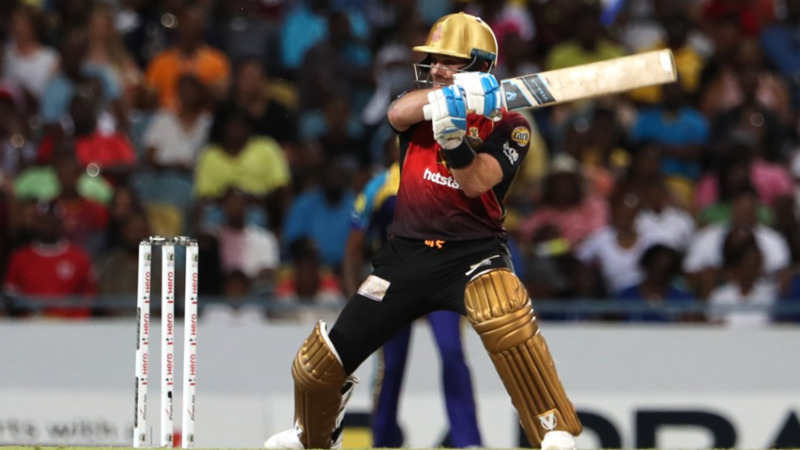 McCullum, Darren Bravo, Javon Searles and Narine – coming in to face the final delivery rather than the first – all fell cheaply in the chase for quick runs. Jason Mohammed of Guyana Amazon Warriors bats during the CPL match against Trinbago Knight Riders. (PHOTO: CPL via Getty Images). 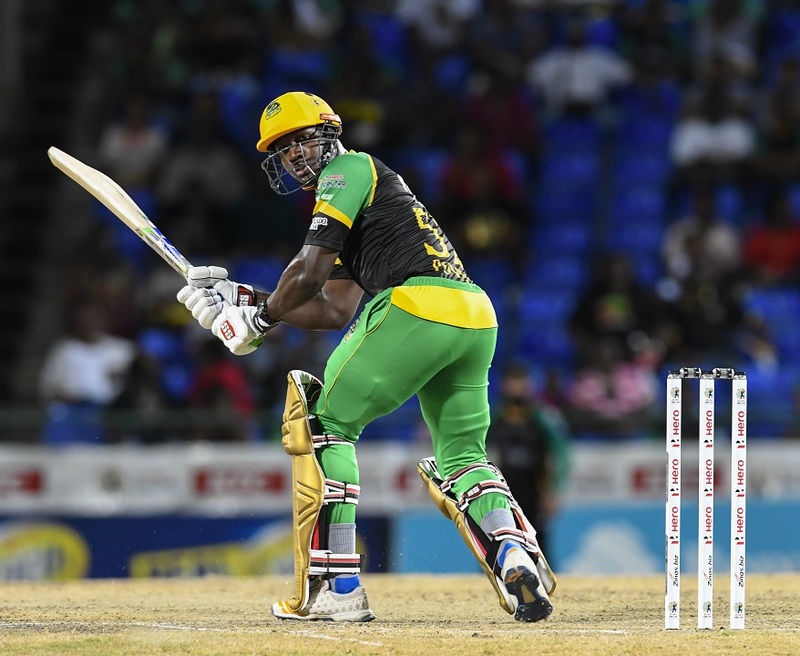 It was Warriors debutant Romario Shepherd who did most of the damage, picking up an international-class trio of wickets as Munro, McCullum and Darren Bravo all fell to the slingy young quick. Sohail Tanvir too ended up with three wickets after his double-strike in the final over, but it was soon clear Munro and Ramdin had already done more than enough.